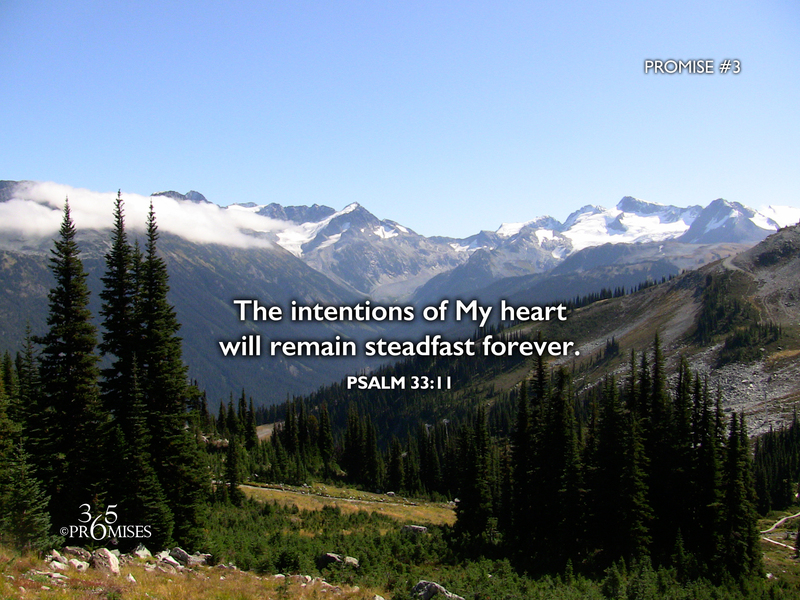 The intentions of My heart will remain steadfast forever. When God determines to do something, His plans will stand firm forever. He is not fickle or temperamental and He will not be swayed by public opinion or the winds of change. He has fixed His eyes upon us and has purposed in His heart to love us with an everlasting love (Jeremiah 31:3). ...And He won't change His mind! What our Heavenly Father started in the Garden of Eden in Genesis 1, He will see to completion at the end of the book of Revelation. No force in heaven or on earth will be able to prevent His purposes from being fulfilled. We can rest in God's plan for our lives for the intentions of His heart will remain steadfast forever!